As for religious charity and good works, this is not even a bad argument. Examined for a moment, it doesn't amount to an argument at all. Suppose you observe me debating with an opponent who catches me out in a logical fallacy or an apology for crimes against humanity, or both. Nothing daunted, I have my riposte all prepared. On the way to the symposium or panel, I announce as if proudly laying down my four aces, I handed a fifty dollar bill to a homeless person. Why, I even specified that ten per cent of my donation would be set aside to build a school where the man, and his children, could be taught my own beliefs as if they were true. Now try to tell me that my logic was unsound, or my ethical claims contradicted! When faith reduces you to this level of "debate" you should feel a distinct blush of shame. Herewith given up as a challenge to anyone who would find themselves around these parts. 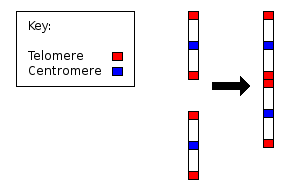 Some days I think stochasticity is an important phenomenon in evolution, and some days I don't. 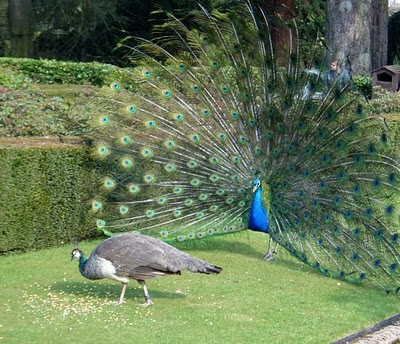 The peacocks magnificent tail is the most famous example of this [sexual selection]. 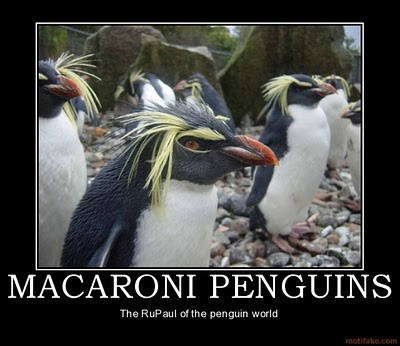 It did not evolve for natural survival. In fact, it goes against natural survival. No, the peacock's tail results from the mating choices made by peahens. I've said it somewhere before, but I'll just go on and say it as many times as the editor* of this blog allows me: THE PEACOCK'S TAIL SCARES AWAY PREDATORS! (I'm told all-caps gets the message across). Now, I admit immediately that this is not a well tested hypothesis. Here are the two pieces of evidence that I have: I have myself seen a peacock raise its tail** in San Diego Zoo when it was approached by... children. They were going too close, and as a result it raised its tail feathers (yeah, I know, correlation/causation - maybe the peacock was horny at the sight of humans its own size). Another is a story I've heard about a peacock in a garden and two golden retrievers. The first time the dogs saw the bird, they ran barking towards it, and in response (or, again, just maybe because it was at that very moment getting all horny thinking about a certain peahen it had met earlier that morning) it raised its feathers. And the dogs cowered and retreated, and never bothered the bird again. In addition, I have also once heard that eyes generally confuse animals, which might be why there are "eyes" on the feathers. And of course, if you can fool the predator into thinking you're the bigger one, they may just forget about the peacock meal. The story for how the tails would increase the likelihood that a predator catches the peacock usually describes a peacock on the run, with the tail feather in the "neutral" position, and the predator grabbing on to the long feathers. But that of course only works if the peacock retreats in the first place. Now for some testing. Next time you see a peacock somewhere (zoos, public gardens - there are many in California, but I haven't seen any here in Michigan - or did I see one in Detroit Zoo? ), try to ask a child to approach it too closely and see what happens. If you're against involving children in research (why would that be? ), get down on all fours yourself. Tell me what happens. And here is a great dramatization of a peacock scaring off a pesky dog. And here's one interacting with humans. Lastly, I do not at all contest that sexual selection is also involved. It is unlikely the the peacocks fan their tails at peahens in order to scare them away. 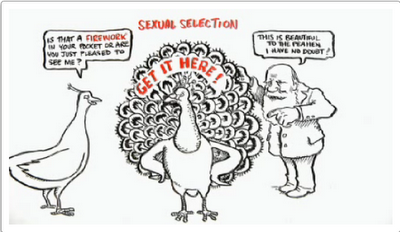 Dutton's talk, by the way, is about a Darwinian theory of beauty. Watch it here, if you must. * Fortunately, that's also me. The motion that Hithcns and Blair were to discuss was this. "Be it resolved that religion is a force for good in the world." Hitchens recently debated William Dembski, and in comparison, this was a far better debate. Blair is actually a worthy opponent to Hitchens, whereas Demsbki is just feckless, really. Admittedly, Dembski had a much, much harder question to deal with than Blair: "Does a Good God Exist?" This question opens up, and the debate did get deep into, all the good reasons why the very idea of a god is so ridiculous, which is much harder to defend than the question of whether religion is a force for good in the world. Do go watch - it is a delight to see them both. Hitchens mentions the famous quote by Steven Weinberg: "With or without religion, good people can behave well and bad people can do evil; but for good people to do evil—that takes religion." I'm now reading Malcolm Gladwell's The tipping Point, in which he makes the point that otherwise well-behaved people can do bad things in the proper context. I agree with this, and would then rather say "for good people to do evil—that takes context (and often that can be religion)." But it can often be that the good people experience distress and fear without religion, and that can lead to evil, too. But that's about as far as I would disagree with Hitchens today (okay, I also disagree about the invasion (Blair and Hitchens both say "liberation") of Iraq). Blair, though, brings up the same point quite a few (i.e., many) times, namely that, yes, religion causes many bad things, but many people also do good things exactly because of their religion. Much charity is done by the religious, and, Blair contends, this work is inspired by the faith of the religious. Whatever that exactly means, we can then either surmise that without faith they wouldn't do that, or that they would. If they would, then faith is of no relevance. If they would not, then the question becomes if the good things thus impelled by faith outweighs all the bad ones (which both Blair and Hitchens agree are plentiful). That is an empirical question. On top of that, if the truth is that people who do charity based on faith would cease to do it if they lost their faith, then that's actually a pretty dismal inference. How uncharming that would be, don't you think? Blair doesn't seem altogether certain what the answer is, because he manages to both say "fact is that's what motivated them," and that while they might do it anyway, their faith is an impulse to do charitable work. The latter sentiment would seem to give faith a minor role. Does he resolve the ambiguity by saying that "love of fellow human beings [are] bound up with their faith"? I'm not entirely sure what he means, and I'm not sure Blair himself is completely resolved on the issue. Near the beginning Blair also speaks well of humility, and not so well of "swagger". But, I implore you all, do tell me what it is that is so great about humility. True, people who are not humble can be arrogant. Maybe the idea is that the starving poor would rather not receive sacks of flour with statements like "are the rich countries great or what?" on them? But seriously, are we really sure that humility is such a big issue (it does get mentioned by pretty much all religious people who i have seen debate)? I agree that arrogance is many times a bother, and humility is less confrontational, but it does not, as far as I can see, have much do with the motion of the debate, nor about the truth of the claims of the religious. Another one from Blair: "Get rid of religion, and you still won't get rid of fanaticism." And that would be true, at least in the century of Stalin and Mao. However, maybe we would get rid of most most most of it? Seem likely to me. Also, turn the statement around: Get rid of fanaticism, and you still won't get rid of religion." That's also true, but you'd get rid of the a lot of it, and I think that speaks volumes. There is no need to debate the extremes; I would like to hear Blair admit that while not all religion is bad, weighing the good vs. the bad does clearly suggest that getting rid of religion would do the whole world a lot more good than bad. As for the motion, before the debate the vote in the audience was 21% in favor, 56% 57% against, 21% undecided. I don't know what it was afterwards. Update 11/28: The post-debate vote was 32% in favor, and 68% against. Both increased about 10%. 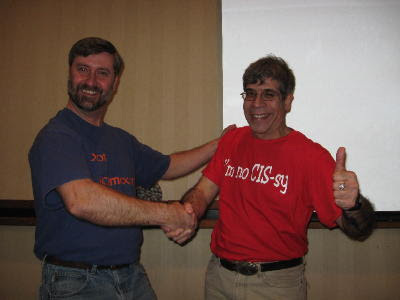 I agree with Larry Moran that this makes it a tie. Can anyone confirm or deny the accuracy of this translation? If true, this is just fantastically disgusting. Warning: don't go to La Sierra University. Islamic crud stones innocent girl in Somalia. I'm both sad and unsurprised that it's these posts that generate heat, rather than those on evolution and other science. Things will never be the same again, for me. If we are what we write, then forever there is no knowing who we are. Am I even who I claim to be, and are these words written by me at all, or by someone with no name who charges for helping the misplaced incompetents? The request came in by e-mail around 2 in the afternoon. It was from a previous customer, and she had urgent business. I quote her message here verbatim (if I had to put up with it, so should you): "You did me business ethics propsal for me I need propsal got approved pls can you will write me paper?" I've gotten pretty good at interpreting this kind of correspondence. The client had attached a document from her professor with details about the paper. She needed the first section in a week. Seventy-five pages. I told her no problem. It truly was no problem. In the past year, I've written roughly 5,000 pages of scholarly literature, most on very tight deadlines. But you won't find my name on a single paper. Do read this essay. The details and anecdotes should shock you. If for no other reason than marveling at the incapability of American students (how difficult can it be to use a spell-checker? Answer: nigh impossible). I work hard for a living. I'm nice to people. But I understand that in simple terms, I'm the bad guy. I see where I'm vulnerable to ethical scrutiny. But pointing the finger at me is too easy. Why does my business thrive? Why do so many students prefer to cheat rather than do their own work? Rather than blaming anyone, I personally prefer to think ahead to when I will (hypothetically) be reading papers written by students myself. It really should not be much of a trouble to test whether the student is at all capable of writing, for instance by having them do it once while in class. Given the nature of the essay, it of course becomes imperative to question its veracity in the first place. If the author can make up stories about any subject, and write them well, then why not his own story? Could this simply be some aspiring writer's term project? Or, how about a meme-based virus? Educational malware? Can we trust that his business is as booming as he contends, and that he writes papers on ethics for the ethically challenged on a regular basis? Yet, contemplating human nature and the current (permanent?) state of financial affairs, I don't doubt that there is at least a market for this kind of cheating. Given the suspicion, I wonder if other businesses won't now crop up to root out these dens of academic deceit. Like removing access to guns from people who are naturally homicidal, so I find it does make sense to eliminate the access to professional sources of cheating. Well, here's one on the topic. But I object. There are many songs that do not have any affiliation with anything religious, but they are perhaps better designated agnostic songs? Then, there are also many songs written by atheists, but that doesn't make them especially atheist songs, I suppose. As when a religious person writes a song nothing to do with religion (does that happen?). But then, songs about non-belief? How about John Lennon? These people are both stupid and annoying, and they don't need to be taken seriously anymore, and they are also not funny, but just tedious and puerile. I suppose if you sent me a personal email, I could tell you who we are ignoring. But be forewarned that you will probably regret it. *Online newspapers and journals, for the most part (for as long as they exist). †Pronounced 'coke', don't you know? Even if a 900-foot Jesus appeared in the sky tomorrow, healing amputees and unambiguously stating his message in all languages and whatnot, a religion would have to explain why God was making all this happen now...and not at any other time in human history. Notice she says "religion would have to explain". No. The deity that appeared could do that. Suppose the reason for doing godly stuff now, and not in the last 200 or 2000 years, or ever before, was not shared with any humans, then how is any religion supposed to hypothesize about it? Suppose the deity just was busy with other things, or was observing us as an experiment, or was not able to do so (a deity need not be omnipotent). If all current religions are wrong, because the deity had not shared anything with us, then that does not preclude evidence from being adequate. If I one day let everyone know (in their heads, in their language, at the same time) that I am that deity, and then went on to tell everyone that I could do anything I wanted (let animals talk, create a new planet, sink Australia, make Australia reappear in the Atlantic, let your dead loved ones come back to life, make anything appear that you ask again and again, make you larger than the Earth, make everyone observe and agree that you were made larger than the Earth, suspend the most trusted laws of physics (2nd law of thermodynamics, for starters), and repeat all of the above on command, etc. etc. 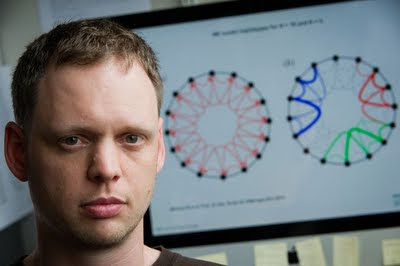 ), and then continued to tell you that, look, I don't care about you, I just happen to have the powers of Q and more, and I did in fact create the whole solar system and life on Earth (and on Europa - go have a look see), but in fact not the entire universe, then just because no "religion" has hypothesized all of these events before it does not follow that I should not be called a god. Sure, again, it depends on the definition of 'god', but I honestly think we've got it covered by now. But then, I can just see PZ standing there looking at all that evidence, and say "mighty fine powers, but you're not God, because I you don't look anything like Jesus." Update 11/8: For some odd reason I cannot comprehend, PZ feels he is all alone on this issue, and is happy (I infer, with all the uncertainties that incurs) to link to two bloggers who agree with him, even though (imo) both posts are senseless supercilious screeds. 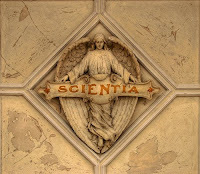 Scientia Pro Publica is now at edition #44. It runs weekly now, so should reach #52 by the end of the year. Posts on all things science. Carnival of the Blue about all things oceany. 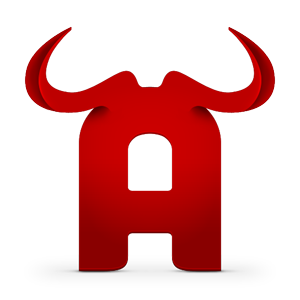 Click through to the 42nd edition. 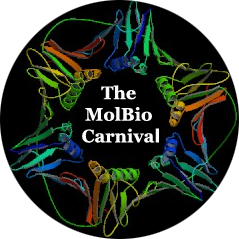 The MolBio Carnival is for lovers of molecular and cellular biology. It's a new carnival and is just up to its fourth edition. Carnival of Evolution of course runs every month, and is up to edition #29. Carnival of the Vanities is the original blog carnival, and is still going strong. At least if by that you mean just pasting all submissions from Blog Carnival uncritically. I have one in there in the god only knows which edition that is. 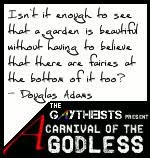 Another great carnival, Carnival of the Godless, now seems to be defunct. Shame. This of course reminds us of a different harvest; the harvest of souls! Those who have yet to hear the good news of Christ’s death on the cross! Yeah! Good news, Christ died. Painfully. For you (no reason to feel guilty). It's such great news (though somewhat old news, by now). And these people who have never even heard that they are living in sin, we go tell them so that they may feel bad, but then tell them about Jesus dying for those sins, so you can believe in him. And if you don't, you can go to hell. Please, don't give me that sophisticated theology, 'cause that's not how you harvest souls, is it? In fact, as he tells in Don't Sleep, There Are Snakes Daniel Everett, who was a missionary to the Pirahã, was told by a senior missionary that "sometimes you've got to get them lost before they can be found." If they aren't broken, there's nothing to fix. So break them, and then fix them. Everett ended up living with the Pirahan for many years, and eventually he became an atheist. Hardy people, the Pirahã are. Lance and Laura Ostman continues. Sonà, one of the church leaders, stopped by the house for a visit recently. During the course of conversation he named off six villages that are ASKING for someone to come teach them! One of these villages had missionaries living there in the early 80’s but their leaders forced them out. Now that they are gone, the younger generation wants to hear the teaching. This is an exciting problem to have. Please pray with us for more Higaunon believers to go out with the message that they have been privileged to now have in their own language. Right. "We need more people to help with the harvest, so come and teach us how your magical god can be persuaded to send more hands. Do we really really need to hear about sins, too? Oh, okay, but then we don't go to this hell-place, right? As long as we what...? Well, okay, as long as Jesus sends people to help with the harvest, I suppose that's a fair trade-off. Also, really looking forward to those 69 virgins waiting for me in the sky... Relax, I'm kidding!!!!!" The 29th edition of Carnival of Evolution is now ready at Byte Size Biology. 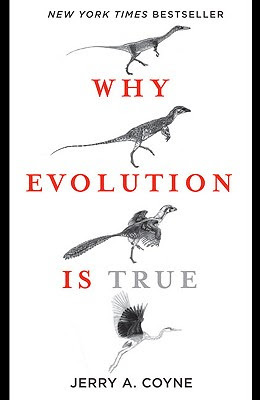 It's a great game of evolution this time. According to an international team of researchers, a close examination of feathers from a recently unearthed giant penguin fossil revealed that it was clad in reddish-brown and grey, instead of the familiar black-and-white colors worn by its modern relatives. Additionally, the researchers found differences in feather structure between ancient and extant penguins; differences that may offer clues for how modern penguin feathers evolved. Next month our host is This Scientific Life, and you can submit one (good) or two (better) posts about evolution here. Go on, don't be shy now.